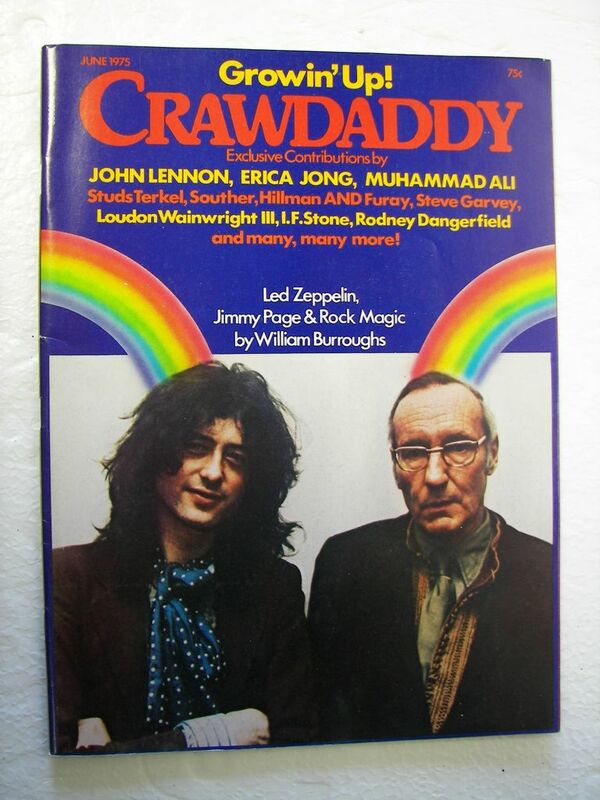 In 1975 a legendary encounter occurred; Jimmy Page, the lead guitarist of the blues rock band Led Zeppelin, was interviewed by William Burroughs – counter-cultural icon of the 60s beat generation, and deservedly famous author of Junky and Naked Lunch. William S. Burroughs was a fantastically able writer who has won the literary recognition of many; he was also a journalist, and a long time user of heroin – even coining the term junky. Heroin was something Page and Burroughs shared in common during the time of this interview in 1975, as Page’s experimentation with heroin had slipped into an addiction at this point in his life and career. Musically, critics believed his playing ability fell sharply as a result of his heroin use, while those obsessed with the occult insisted that his poor playing was a result of a black magic curse put on him by Kenneth Anger, an acolyte of the infamous Aleister Crowley. What follows is an interesting take on the standard music interview format, and a surreal exploration into the subconscious elements of music, such as vibrations, transferring of energy, magic, the arts and the similarities between rock and roll riffs and Buddhist mantras. Read on for the full article that Burroughs published in Crawdaddy magazine in their June 1975 issue, and also the transcript of the interview that took place.